Communities in Action take center stage in our 2017 annual report. 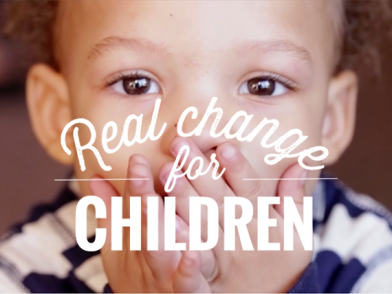 Read how grantees are championing change for children. The realities of the past year challenge all of philanthropy, including the Kellogg Foundation, to work differently. This report explores how when we join together and see one another more fully, we can heal divides, create more equitable communities and ultimately achieve real change for children. 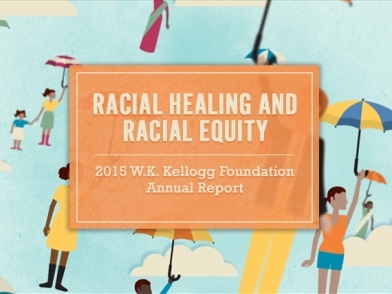 This report explores the foundation’s deep commitment and work to advance racial healing and racial equity – work that has become core to our organizational DNA. This report illuminates WKKF’s leadership development work as one of the foundation’s most effective tools for creating lasting, community-centered social change for children and families.